In Garriss Martial Arts ?? John Ormsby 5th dan including studies in various areas such as Goju-Shorin and Tae Kwon Do (Chi Do Kwon, Moo Duk Kwan and Chung Do Kwon), has written over 10 books on not only martial arts related topics but also on World War II artifacts. 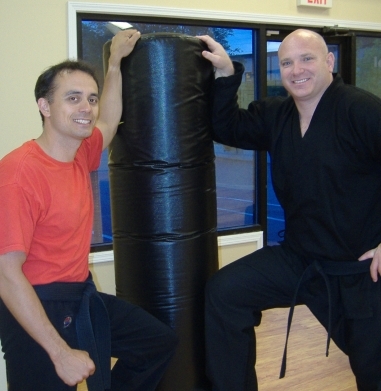 Mr. Ormsby is the current Head Instructor of BEMJO Martial Arts Center of Greenville NC. 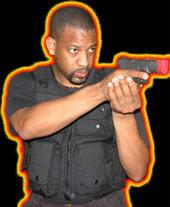 He has started and maintained multiple satellite martial arts programs in eastern NC. Mr. Ormsby is a graduate of the University of North Carolina at Chapel Hill with a BS and MBA degree in accounting. While at Chapel Hill, he also became a National Champion as a Billiards Player at the Intramural Level. Since 1969, he has officiated over 100 major point tournaments including the Battle of Atlanta, the Top Ten Nationals, and the Diamond Nationals. Mr. Ormsby has not only trained world champions but is also well known for the thousands of children he has taught. Recently, in 2003, Mr. Ormsby received one of six special "LEGENDS of the MARTIAL ARTS" awards presented by 9th degree, Shihan Larry Isaac. In 2003, he also won medals in literary works and has written an autobiography. Bill McDonald a 10th degree Black Belt and founder of the Goju-Shorin system, retired undefeated before being promoted to Grandmaster in JAPAN. 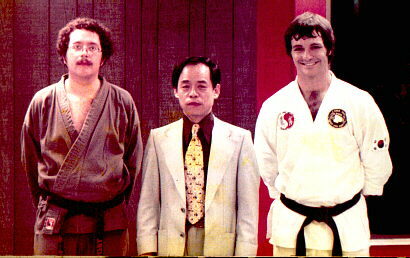 Although he is only seen present for major belt tests and guest lectures, he continues to mentor all Goju-Shorin related programs world wide. Mr. McDonald has trained over 7 World Ranked Kickboxing Champions and numerous regionally ranked competitors. Several students under Mr. McDonald have had parts in movies such as Cyborg and Teenage Mutant Ninja Turtles. He has worked with Chuck Norris and Jean-Claude Van Damme on television commercials as well as fight scenes. During his career Mr. McDonald has also trained FBI officers and ran the 1st Police Academy in Eastern NC. Mr. McDonald is a graduate of East Carolina University with a Psychology Degree. He also has an insurance marketing degree from the University of Virginia and has owned and operated an insurance agency in Greenville, NC. Master McDonald continues to support Goju-Shorin Karate Programs and has now been a guest instructor at Dojos for regular classes and larger seminars. Tim Garriss 1st dan Moo Duk Kwan--Tae Kwon Do and 3rd Dan Goju-Shorin, is the head instructor of Garriss Martial Arts officially founded in 2006. He runs martial arts programs in Greenville, Ayden and New Bern NC in addition to private lessons throughtout Eastern NC. 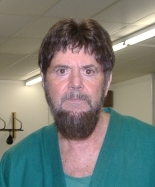 In the past, he has not only taught for BEMJO Martial Arts Center of Greenville NC and related satellite programs in eastern NC for over 10 years but also earned the 2000 Brody Award for most outstanding allied health professional of the year. In the late 1980's, Mr. Garriss was one of Curtis "Buzzsaw" Evans sparring partners. ( Mr. Evans, who once held the title as World Champ, was also in the movie, Teenage Mutant Ninja Turtles. ) Mr. Garriss also won numerous titles as a Goldsboro High School Wrestler including 4A Mideastern Champion. He later earned a varsity letter in Cross-Country at East Carolina University. Mr. Garriss is a graduate from East Carolina University with a BA in Psychology Minor in Science and Math as well as a graduate from Pitt Community College with an associate in applied science in Occupational Therapy. He is also a certified weight trainer and an aquatic therapist. 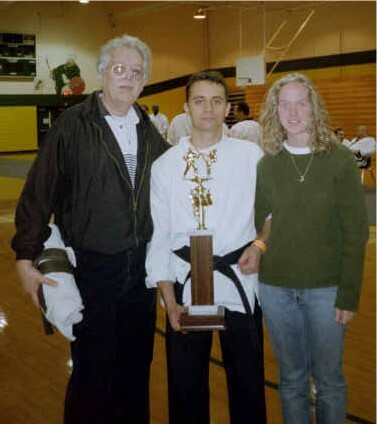 Lyndon Johnson, 10th Dan (pictured below) the head instructor for Hwarang Warrior Martial Arts Academy of Wayne County NC USA, has earned over 7 different Black Belts. Jeremy Whitehurst (3rd dan) head instructor of RED DRAGON MARTIAL ARTS Goju-Shorin Karate School in Tarboro, NC, has not only placed in nearly 100 tournaments in which over 40 were 1st place finishes but is was also a member of the National Honor Society and top 10 within his graduating high school class. Jeremy has also competed in the Battle of Atlanta 3 times with multiple top 8 places. Jeremy also competed in the US OPEN in Orlando Florida in 2000. Mr. Whitehurst is a graduate of NC STATE University. Lee Ellis, 2nd Dan Sensei Ellis is no stranger to hard work. Not only is she a talented martial artist but a Registered Nurse. 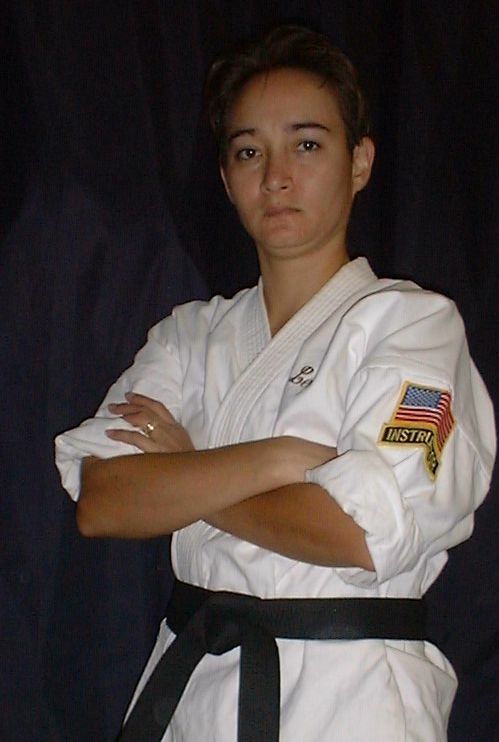 With over 17 years of martial arts experience in the Goju-Shorin Karate System founded by Bill McDonald, she is now the head instructor of Lee's Martial Arts School of Wendell NC founded in 2004. Her list of superlatives go on and on as she has taught for multiple after school programs, women's defense classes, and several adult and children's classes in Eastern to Central NC. Sensei Ellis was also the chief instructor and advisor for East Carolina University's Martial Arts Club. Her list of 1st place finishes in not only sparring, kata, but in weapons is above and beyond for any martial artist. In addition to multiple1st place finishes, she has also won the Grand Champion Title. In addition to a record which is 2nd to none, her discipline and passion for teaching of the traditional martial arts is carried into her Nursing Career as she specializes in Trauma and Emergency Medicine. A Graduate of Pitt Community College and Barton College, she now resides with her husband Chad and their 2 dogs, 2 cats, and a large Oscar Fish. Tony Geouge is a 5th degree Black Belt. He is the head instructor of Champion Karate & Kickboxing Center in Little River, South Carolina 29566 located on 127 Pinnacle Place.